“Cyndi” Cynthia D. (Bline) Boring, 64 of Heath went to be with her Lord on Monday, April 22, 2019 at about 12:26pm in her home in the loving presence of her husband, Earl D. Boring, her parents Fred and Lucille (Frye) Bline and her sister, Linda (Bline) Jones (KC). A gift from God to Lucille and Fred on April 19, 1955 Cyndi graduated in 1973 from NHS and had organized a monthly luncheon for her 1973 classmates. She worked at a number of different vocations and along with Earl more recently volunteered at the Northtowne Senior Living Community. Cyndi was also a member of the Heath Lions Club. Cyndi had a servant’s heart for God and her family. 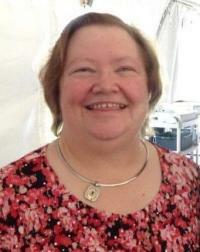 She was a life-long member of St. Luke’s Lutheran Church in Vannatta. When she could, Cyndi also would attend church with her sister at Rushing Wind Bikers Church, Zanesville. She was also a member of the New-Ark Area Emmaus community. For any occasion Cyndi would bring enough food to feed an army. Besides her relatives already mentioned, Cyndi is survived by her two sons, Christopher (Belinda) Burchard and Robert (Heather Hart) Burchard; two grandchildren, Jerry JD Burchard & Molly and Olivia Burchard. She also had many cousins, nieces, nephews and friends who will likewise miss her. A thank you to Hospice of Central Ohio and to Diane and Sue. A Celebration of Life Service will be held at 12pm, on Friday, April 26, 2019, at the Brucker-Kishler Funeral Home in Newark. Burial will follow in Newark Memorial Gardens. Family and friends may call from 4pm-7pm, on Thursday, and also one hour prior to the service on Friday, at the funeral home, 985 N. 21st Street. Trisha Lynette Simmons, 49, passed peacefully at her home on Saturday April 20, 2019, surrounded by her loving family. She was a woman of faith who loved the Lord and all of His creation. She was born April 19, 1970, in Mount Vernon, a daughter of Timothy (Sandy) Veatch and Nola I. (Scoles) Veatch. A Celebration of Life service for Trisha will be held at 11am, on Friday, April 26, 2019, at the Brucker-Kishler Funeral Home in Newark. Life-long friend David Fogle will officiate. Family and friends may call from 5pm-9pm, on Thursday, at the funeral home, 985 N. 21st Street. All who knew Trisha were aware of her charismatic personality that could light up a room and make you laugh because she was so full of life. She loved her family dearly, her animals and “sunrises, sunsets and sandy beaches”. She earned a Bachelor of Science in Nursing and worked at Genesis Hospital in Zanesville in the Cardiac and Critical Care units. Left to cherish her memory are her husband, Doug Simmons, whom she married August 3, 1990; her mother Nola and father Timothy; her children Tanner Simmons and MacKenzie Simmons; her sister Kimberly (Brian) Simmons; nephew Taylor Simmons; nieces Caitlyn Simmons and Zeaven Veatch; several great nieces and nephews; sisters-in-law Joey Lynn Simmons and Tammy Stahl and mother-in-law Sharon White. She was preceded in death by grandparents Chaney and Ruth Veatch and Royal and Irene Scoles; father and mother-in-law, Gerald and Sandy Simmons and brother Shane Veatch. Memorial contributions may be made to your local animal or humane society or Genesis Hospice, 713 Forest Avenue, Zanesville, Ohio 43701. Maria Meek, beloved mother and wife, passed away on Easter Sunday, surrounded by her children and husband. Maria was born in Torreon, Mexico, grew up in Juarez, Mexico, and moved to El Paso, Texas for work as a young woman, where she met and married a man who brought her to Ohio. She spent her working life at Holophane, where she made life-long friends and met her second husband, who would be by her side until the end. Maria was a magnificent gardener and created a symphony of color with flowers in her back and front yards. She could spend hours working in her yard. She was also a devoted animal lover, but had a particular affinity for cats and rescued many throughout her life, including her current favorite, Oscar, who had lived at Holophane until mom brought him home. She will be profoundly missed, but we are grateful for every minute we had with her. She is survived by her husband, David Meek; son, Gary L. O’Brien, Jr.; daughter, Shannon (David Spencer) O’Brien; brothers, Antonio (Eva) Frayre, Eddie (Rosa) Enriquez, Robert (Eva) Enriquez, Frank Enriquez; sisters, Patty (Frank) Hurtodo, Yolanda (Carlos) Cordova, and Sylvia (Gerardo) Gamboa; as well as many nieces, nephews, and friends. In accordance with Maria’s wishes, there will be no public services at this time. For those who wish to remember Maria, please consider a donation to the Licking County Humane Society, 825 Thornwood Drive, Heath, OH 43056. A Celebration of Life Service for Rose F. Kaufman will be held at 10am, on Saturday, April 20, 2019, at the Heath Church of Christ, 1331 Chapel Way in Heath. Dave Mason will officiate. Burial will follow at Wilson Cemetery. Family and friends may call from 2-4pm and 6-8pm, on Friday, at Brucker-Kishler Funeral Home, 985 N. 21st Street, and from 9am-10am, on Saturday, at the church. Rose, 88, of Newark, went home to be with her Lord and Savior on Tuesday, April 16, 2019, at her home surrounded by her loving family. She was born in Clarence Center, New York, a daughter of the late Clement and Florence (Honsberger) Pfennig. She was a woman of faith, a faith that she instilled in her children and grandchildren which has left a lasting legacy of Christian service. She was a member of the Heath Church of Christ. She enjoyed rubber stamping as a hobby and was an avid reader. Left to cherish her memory are her daughters, Sandra (Tom) Spence of Newark, Sharon (D.J.) Miller of Ypsilanti, Michigan; her grandchildren, Samuel (Chelsea) Spence of Lakeville, Vivian Gunberg of Ypsilanti, Laura Spence of Newark, Christopher Gunberg of Ypsilanti; her sister Dorothy (Dennis) Freeman of Akron, New York and many nieces and nephews who loved her dearly. She was preceded in death by her husband Lawrence “Larry” R. Kaufman on July 31, 2017; a daughter Carol Kaufman and her brother Donald P. Pfennig. Memorial contributions may be made to the Heath Church of Christ, 1331 Chapel Way, Heath, Ohio 43056. A graveside service for Richard M. Haines, 87, of Warsaw, Ohio, will be held at 11:00 a.m. Monday at Mt. Zion Cemetery in Knox County, with Pastor Cory Campbell officiating. Richard passed away April 18, 2019, at Licking Memorial Hospital. 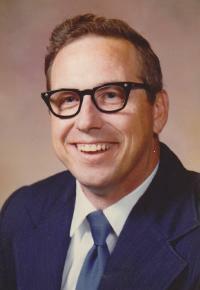 He was born January 30, 1932, in Coshocton County, Ohio, to the late George L. and Mildred M. (Steffee) Haines. He was a 1950 graduate of Union High School. He married Donna Groves on October 27, 1951 in Richmond, Indiana. Richard retired from Owens Corning Tech Center in 1987 after 36 years. He received an award in 1976 for having 15 or more patents. He had been a 4-H advisor for Dusty Boots 4-H and a Little League Coach. Richard will be greatly missed by his wife Donna; four children, Debra (Dale Jr.) Graves, Richard (Anita) Haines, Randall (Renee) Haines and Margo (Randy) Latham; nine grandchildren, Jennifer Graves, Jackie (Mike) Gentry, and Dale III (Amber) Graves, Jason (Allison) Haines, Marcy (Joel) Moyar and Brad Haines, Melissa (Casey) Murray, Michelle (Dallas) Shepler and Kelly (Todd) Barnett, twenty three great-grandchildren; one great-great-grandchild; brother, George (Judy) Haines; sister, Linda (Charles) Art, and many wonderful friends and relatives. In addition to his parents, he was preceded in death by three sisters and two great-great-grandchildren. Memorial contributions may be made to the St. Jude Children’s Hospital, P.O. Box 1000 Dept 495, Memphis, TN 39101-9801. A mass of Christian Burial celebrating the life of Rose Marie DiBlasio 85, of Newark will be held at St. Edwards Catholic Church, 785 Newark Granville Road, Granville Ohio 43023 at 10:00 am Tuesday, April 23rd 2019 with Monsignor Paul Enke as celebrant. Interment will be held in St. Joseph Catholic Cemetery. The family will receive friends on Monday April 22, 2019 from 1:00 – 3:00 and 7:00 – 9:00 at Brucker Kishler Funeral Home 985 North 21st Street Newark, Ohio 43055. Rose passed away peacefully at home with her family by her side on Monday April 15, 2019. Rose was born on September 3, 1933 in Meadville, Pennsylvania to the late Arthur and Rose Marie (Daddio) DeBaise. 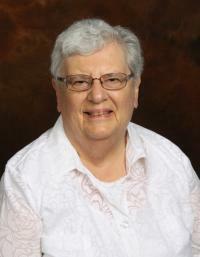 A lifelong member of the Catholic Church and a staple of the Newark community, Rose was a nurse in Granville, Ohio and spent many years volunteering for her children and grandchildren’s school and cheering for their sporting events at Blessed Sacrament School, St. Francis School and Newark Catholic High School. Rose enjoyed spending time with friends at prayer groups and cooking and baking for family and friends. She was famously known for her Italian meatballs and chocolate chip cookies. Rose was a faith based woman who lived her life with tremendous courage and strength. She chose to walk by faith and always placed the needs of others before her own. She will be greatly missed by her children, Mark DiBlasio, Traci (Troy) Crouch, grandchildren, Matt, Chayce, Cameron and Carsyn, Siblings, Joseph DeBaise, Joanne Yohman and Arthur DeBaise. Sister In-law, Anna DeBaise, and many nieces and nephews. Close friends and caregivers, Ann Burkhart, Carol Shaner, Peggy Mitchell, Jack Crouch, Amy, Katie, Erin, Courtney and Annie. In addition to her parents Rose was preceded in death by her daughter Marie DiBlasio, step mother Mary (Zepetella) DeBaise, siblings, Elizabeth McKee, Sylvester DeBaise, , Connie Massei, neice, Sandra (Crisp) Stewart, Andrea Yohman, brother in-law, Pete Yohman, sister in –law, Catherine DeBaise and close friends, Kenneth, Chris, Mimi and Katie. 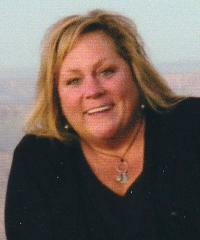 Annette Hammond, age 58, of Newark, passed away on April 17, 2019 at her home. She was born on July 18, 1960 to the late Turner and Louise (Burchfield) Huff in Cincinnati, OH. 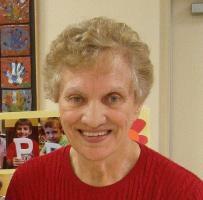 Annette enjoyed working in her flower beds and making crafts. More than anything, she loved spending time with her family. Surviving her are her daughters, Tina (Rob Wince) Peck, Samantha (Eben Plank) Hammond, and Amanda (Chris) Woolard; granddaughters, Brianna and Brooklyn Peck; sister, Wanda Davis; life-long friend, Joann Rhodes; many nieces and nephews; father of her granddaughters, Mark Peck; and furbabies, Chico and Punkin Toot. In addition to her parents, Annette is preceded in death by her fiancé, Lonnie Carpenter. A memorial will be held on Monday, April 22, 2019 from 6-8pm at C. Arthur-Marrow Conference Center, 1821 W. Main Street, Newark, OH. In lieu of flowers, donations can be made to the Licking County Humane Society, 825 Thornwood Drive, Heath, OH. 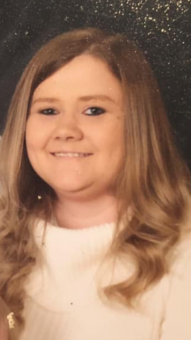 Tiffany Dawn Barker, 35, of Newark, died Thursday, April 18, 2019 at the OSU James Hospital. She was born January 18, 1984 in Newark to Jamie and Rebecca (Bibler) Thompson. Tiffany was an avid reader, loved music and listening to Steven Furtick sermons. She was an inspiration to those around with her strong faith in God. She was funny and witty and a little sassy which made her a friend to all. She enjoyed watching her boys in all of their sports and activities, and especially spending time with her husband and high school sweetheart. She loved all of her family deeply. She is survived by her husband, Danny Barker; two sons, Hayden and Colton; mother, Rebecca Thompson; father, Jamie Thompson; brother, Jeremy Thompson; paternal grandmother, Eva Thompson; brothers-in-law, Sam Allen and Brandon Barker; sister-in-law, Tammy White; and several aunts, uncles, cousins, and friends. Tiffany was preceded in death by maternal grandmother, Helen Bibler; paternal grandfather, Clarence Thompson; mother and father-in-law, Danny Sr. and Charlotte Barker; and sister-in-law, Danelle Barker. Visitation will be Tuesday from 4-8 PM at the Brucker and Kishler Funeral Home, 985 N. 21st St. Newark, where the funeral service will be Wednesday at 11:00 AM with Pastor Chuck Horsley officiating. Burial will follow the service in Hanover Cemetery. Following the graveside service, everyone is invited to gather at the Event Center in Hanover for food and to share their memories of Tiffany.